With a combined total of over 100 years experience in the electronics field, covering a vast area of products Electrica can help you help yourself. We have expertise in a wide range of applications, accumulated over many years experience. 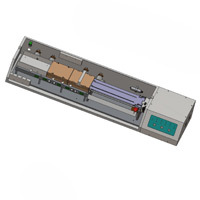 At Electrica we have a sophisticated state of the art PCB/Schematic design facility. We can take your schematic or sketched line drawing and create a layout to your criteria. We have a team of engineers who are experts in the programming of controllers and processors in various fields in communication, automotive and electro-mechanical control. We feel this service is essential so we can offer the complete Development/Design facility, which is convenient and flexible to our customers. Electrica can now offer in house 3D printing to complement our design capabilities. Prints can be created in PLA,PLA flexible or ABS.